I am slowly starting to amass a small but sizable toy collection, in the adult, collector sense of the word, I guess, in that they're not toys I play with, but for display. Things which I find aesthetically pleasing. Actually, sometimes when my nephews are over we do play with them: I'm reminded of a time when we strapped Lego Batman to Kaneda's bike with rubber bands and shot it at an armless figure of Hulk (Hulk had lost his arms in a scrape with a T-Rex earlier) in a bid to topple him. The majority of my toys are comics-associated (some are movie-based) and function as an extension of the enjoyment I get from those books with the additional facet that I like the way they look; the design and look is foremost- I'm not interested in getting poor models of Batman just because I like Batman. Likewise, while I'm not a fan of the Hulk in any sense, the Lego larger figure has a really nice clean blocky appeal, pleasing proportions, and the green and purple contrast is spot on. I love Kiyohiko Azuma's Yotusba & ! series; if you're not familiar, it follows 5 year old Yotsuba, a curious, sweet and individual girl, the (apparently) adopted child of a young single father, and her everyday adventures- learning to ride a bike, playing with her toys, eating her favourite foods, going to the zoo. The stories involve a core cast of characters which include Yotusba's next door neighbours who have 3 daughters of various ages who she regularly interacts with, as well as her father's very tall friend, Jumbo. It's an utterly charming and uplifting comic that celebrates the small, ordinary things and finds the good in them and the world around us. 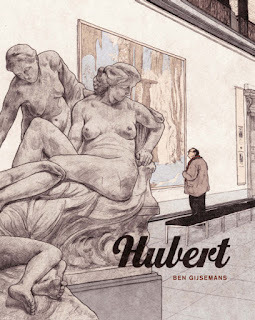 It has the added benefit of it being accessible at any point- the volumes contain several short stories each and are self-standing, and lend themselves very well to chunks of episodic reading if you can control the urge not to read the whole book in one. I have very strong, pleasurable memory associations of eating jalapeno pizzas and waffles in my kitchen in front of the fire whilst reading through most of them last winter. I have all 12 volumes of these on my bookshelf, and hope there's more on the horizon. So when I learnt there were Yotsuba figures, I had to do some further investigation. The one I ended up plumping for is the 'regular' set from Japanese toy company Kaiyodo, and was originally released in 2007, and re-released in 2010. I bought mine via Ebay and it cost me £26 inclusive of shipping from Japan. First things first: that's some nice packaging. I used to tease (and be slightly annoyed by) my friend Andy about finding value in almost everything and I'm getting to be the same. Belly-bands- I'm a big fan of the belly-band on books and packaging- they're nifty and smart and like a sophisticated version of a bow-wrap. The green and cream colourway is clean and fresh- I like that they stuck with the 'branding' of the books- the Yostuba title font, the picture taken from the covers (the only colour pictures of Yotsuba)- not only does it make it easily recognisable, but it's inherent to its appeal- as straightforward and obvious as that may sound, these things can so often be overcooked. I like the touch of the Yotsuba exclamation mark plastic window on the side. As mentioned, this is the regular version of the Kaiyodo Yostuba figure and comes with a stand, an extra head for change of expression, an ice-cream lollipop, a water pistol, an additional pair of hands (the lollipop and pistol fit into different hands), and a spare joint/limb. 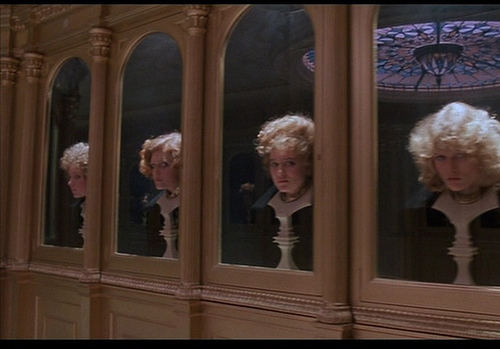 On an aside, whenever I see spare heads I am reminded of Mombi from Return to Oz (that film was scary as hell to 7 year old me). There's a summer version of this set, which is more expansive, and includes a satchel bag, a hat, a butterfly net, and, interestingly enough, faces instead of heads- these are more like masks which attach and detach to one head. I think heads work and look better. The figure is sculpted by Enoki Tomohide and uses Kaiyodo's Revoltech (short for Revolver Technology) techniques which allows the articulation of joints and limbs to a greater degree, offering more motion and movement and quirkly angled poses, should you so wish. The joint is composed of three pieces: 'two half spheres whose flat sections provide the friction surface for the articulation, and a cross section pin that locks the whole assembly into place. Both half-spheres have round cylindrical pegs used to connect the different body parts the figure.' What this boils down to, essentially is that the figure is super easy to move and play around with. Let's now take a look at Yotsuba in all her glory (Happy Yotsuba sorta looks like she has an orange in her mouth, but it's all good). They've gone with the clothing she's most often shown in a pink sleeved white t-shirt and some mustard shorts, with pink and white pumps. She's roughly 6 inches/13 cm tall so a cute size- I don't like ginormous figures. Vexed Yotsuba: I think the hair makes this figure on the whole. I mean, yes, it's green, so it's distinctive and characterful, but it's well sculpted with the bunches and fringe segments at the front. I'm glad they didn't go with something helmet-like, or a thinner, flatter affair. Similarly, the expressions are very simple but effective: one wide-eyed joy, one squinty white-hot rage, and the you can move about her arms and legs to reflect each. I'm not sure if it's my particular figure, but changing hands, especially trying to slot the arm into the hand sockets for the water pistol was super difficult, very stiff- had to get my dad to do it. The left hand was fine, but the right one wouldn't play ball. The heads were easy to switch, and all the other joints moved fine, so I'm guessing it is probably that one trouble area. Overall, I'm very, very happy with it- it's exactly what I was after: a well-designed, high-quality figure that captures the charm and essence of Yotsuba and represents the comics I love.